The issue of media freedom came up in Greece last week, but not because of the apparent clampdown by the government in Turkey following the failed coup. No, the political debate in Greece is much too esoteric to draw references from other parts of the world (even those a short hop across the Aegean Sea). Instead, the discussion was limited to the traditional party divide and a trading of accusations about who is genuinely in favour of a free press. The government’s tender for national TV licenses in Greece’s digital network was one trigger for this discussion. This process has been politically charged from the start. The SYRIZA-led coalition portrays the issuing of permits as the first genuine attempt to regulate the broadcasting sector and end the murky conditions that have existed since the late 1980s, when private broadcasting first emerged in Greece. Since then, no proper tender has been held, making Greece the only European Union country not to have auctioned TV permits. Instead, governments have successively extended or allowed the trading of what are essentially temporary licenses. The current government argues that this created a lack of transparency, behind which the government of the time and local businessmen could engage in the exchange of favours, often involving public contracts as well. The argument about the so-called triangle of power is absolutely legitimate. This suspicion about the relationship between the media, big business and the political system has been one of the fundamental reasons for a shocking erosion of trust in Greek TV stations. 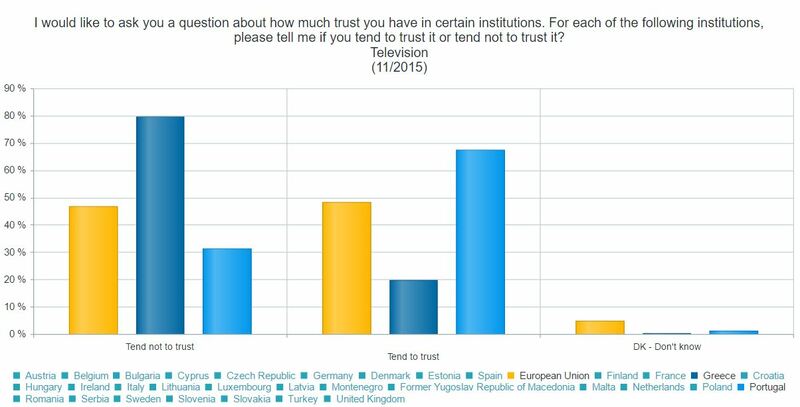 According to the most recent Eurobarometer survey on this issue (December 2015), just 20 percent of Greeks “tend to trust” TV as an institution. The EU average is 48 percent, while in Portugal, a country of similar size, 67 percent of citizens say that have at least some faith in what they see on their television sets. This is a damning indictment of the practices in the Greek media over the past few decades. Where the coalition is on less sure footing is the way it has handled the process. The inability of Parliament to elect a new board for the broadcasting watchdog, the National Council for Radio and Television (ESR), led to State Minister Nikos Pappas taking control of the procedure. This was a grave mistake as it allowed the opposition to argue, with every right, that the tender could be compromised in this way. The government and the opposition had valid arguments on the issue of how many licenses would be made available. The coalition cited a study conducted by the European University Institute in Florence, which states that four is the maximum number of high definition national private channels that Greece can support. 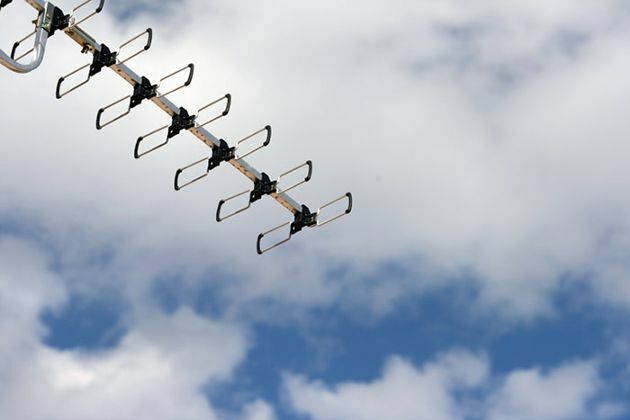 The reliability of the study, especially as it was commissioned by the government and more than four channels were already operating, has been questioned. Pappas’s response to this criticism was to argue that apart from any technical concerns, the financials also supported the claim that four should be the maximum number of licenses for the time being. According to the government’s calculations, any broadcaster in Greece needs at least 50 million euros a year to run a national TV stations, while the total advertising revenues available are currently at around 200 million euros. The coalition’s view is that allowing more than four channels to operate at the moment would mean that some will face economic problems and that this could then be open to exploitation by politicians who would pull strings to keep the stations alive in return for favourable coverage. A parliamentary committee is currently investigating the bank loans extended to media companies in recent years despite some of them being in a poor financial state, seemingly underlining that there is a real threat of the relationship between the broadcasters and the political system becoming solely self-serving and denying taxpayers the public service they are entitled to. It was during one of the committee’s sessions last week that the argument between New Democracy and SYRIZA about the closure of public broadcaster ERT in June 2013 was rekindled. One of the panel’s participants, New Democracy MP Dimitris Stamatis, became embroiled in a row with SYRIZA lawmaker Anneta Kavadia, a former ERT journalist. It culminated in Stamatis declaring the New Democracy-led government had been right to shut down ERT three years ago because it was riddled with staff that were promoting SYRIZA. The leftist party immediately issued a statement claiming Stamatis’s comment proved the conservatives closed the state broadcaster because they wanted to silence it rather than for fiscal reasons or because of any intention to replace it with something better. And so we find ourselves in a situation where the government is accusing the main opposition party (as well as PASOK, which was part of the ruling coalition in 2013) of being engaged in the most outright form of censorship possible, while the coalition’s rivals are claiming that it is exercising undue control over the process to award national broadcasting licenses. Yet, if those on either side of this argument were able to raise their heads for a moment and take a look at what is happening around them, perhaps they would reconsider their priorities as far as the Greek media is concerned. While Stamatis and Kavadia were having their spat, and while Pappas was talking ERT viewers through the tender process, which is due to conclude in mid-August, the Turkish government was shutting down 131 media organisations in the neighbouring country, albeit in the wake of a bloody and traumatic attempt by military elements to overthrow Prime Minister Recep Tayyip Erdogan’s administration. The decision to close three news agencies, 16 TV channels, 23 radio stations, 45 papers, 15 magazines and 29 publishers and to arrest dozens of journalists, including standard bearers for liberal democracy in Turkey such as former academic Sahin Aplay, should jolt Greece’s politicians into action. For starters, it makes a mockery of each side’s attempts to portray the other as acting in a totalitarian manner. Beyond that, though, it highlights that the problem in Greece is not whether there are four or five or six TV licenses, nor if the public broadcaster employs more staff that vote for SYRIZA than New Democracy, it is about these organisations being reliable and credible. It is about having a media watchdog with teeth and a code of ethics that leads to quality journalism that serves the audience and not the interest of owners or politicians. In essence, it is an issue of having the institutions and practices that can support a pillar of our democracy. But in Greece’s parochial political talking shop these are the kinds of discussions that few want to have. An earlier version of this article appeared in last week's e-newsletter, which is available to subscribers. More information on subscriptions is available here. Still the argument of limited advertising pie remains. If Greece is no more than 200 Mil. a year ad market and it takes a minimum 50 Mil. to run a station where is the profit? Why would weak media pluralism be in Grecce's benefit?